The first edition, released in 1995, was lauded by seasoned practitioners and beginners alike. And no wonder. 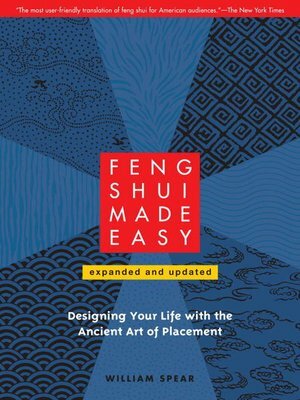 While most of the early English-language books on feng shui were dauntingly mystical or relied on complex calculations or culturally specific design practices, Feng Shui Made Easy took a more holistic approach, clearly explaining the fundamentals while guiding readers on an inner journey of understanding. Thoughtfully written and beautifully illustrated, the book is structured around an "architecture of consciousness" that is really the inner landscape. The book explores each "house" of the bagua--the chart representing one's journey through life; relationships with parents, loved ones, and community; creativity; spirituality; and connectedness to the source of life--and the symbolism of the corresponding I Ching trigram. Feng Shui Made Easy helps readers discover the nature of these connections, as well as learn what obstructions must be removed to change fixed patterns of behavior and restore balance, harmony, and inner peace--a process that, when combined with external adjustments, results in increased success and lasting change in all areas of life. This revised edition expands on the author's intuitive approach with new sections on health, children's environments, and ecological concerns and sustainable practices. The author also corrects misconceptions about feng shui and uses fascinating case studies to share valuable insights he gained from interactions with his clients and readers.